If you haven’t driven down Main Street recently, you haven’t met Hamilton, the whimsical giraffe creation by Payton Miller. 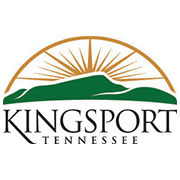 Miller’s giraffe mural in included in the Public Mural Program, part of the OneKingsport initiative. Miller is the famous UT rock painter. She’s painted murals on ‘The Rock’ over 18 times, each featuring a special design she does freehand from a mental sketch. Now, she’s putting her skills to the test with her first mural in her hometown. “When Anne Greenfield and I first discussed the mural, she described “The 101” building as “the most forgettable building in Kingsport,” said Miller. Miller and Greenfield, who has known Miller for most of her young life, were determined to change this perception with a mural on the side of building facing Main Street. Miller chose the giraffe because she loves painting animals. She also had not yet taken on the challenge of completing one with spray paint. Balloons were an addition for a whimsical feel. The three balloons on the right provide an opportunity for people to interact with the painting for pictures. Viewers will also notice bends in the giraffe’s tail meant to resemble a lightning bolt for the future logo of High Voltage, a venue that will serve beer and host food trucks. The giraffe’s name also wasn’t on accident. Hamilton received the most votes on ‘The 101’ Facebook page during the naming contest. Retail stores Style and Picsee, along with High Voltage, will be open at the grand opening of ‘The 101’ building at First Thursday Sip N Stroll on May 4. For more information, please call 423-963-1615 or visit ‘The 101’ on Facebook.